What is AFib and how does it affect my heart? During AFib, the upper chambers of your heart, the atria, beat rapidly or in an uncontrolled manner, which can feel like a flutter. When your heart beats erratically, it does not pump blood as efficiently as it should. You may feel ill or experience other Afib symptoms because oxygen isn’t being properly delivered to all parts of your body. Atrial fibrillation is not life threatening in itself. However, it is important that you seek treatment for it not only to control the symptoms, but also because atrial fibrillation can lead to stroke. A normal heart rate ranges between 60-100 beats per minute. That means that your heart beats around 100,000 times a day! Your heart rate is controlled by electrical impulses that coordinate your heart’s contractions. 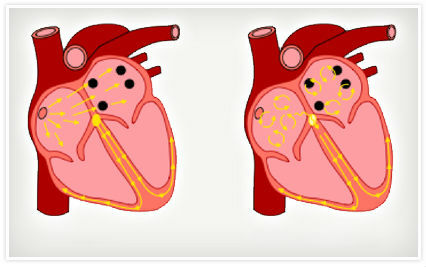 These electrical impulses begin at the sinoatrial node – also called the sinus node or SA node – and are usually steady and consistent. The heart is made up of two upper chambers, called the atria, and two lower chambers, called the ventricles. When the left atrium contracts, oxygen-rich blood flows into the left ventricle. When the left ventricle contracts, blood is pumped out of the heart into the body. Sometimes the flow of electrical impulses does not operate properly. 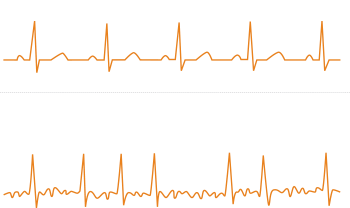 The sinus node may send out signals too quickly, or it may send out too many signals. In other cases, the signals may reverberate inside one of your heart's chambers instead of moving on in a regular pattern. The result is a fast or irregular heartbeat. It can sometimes feel like a flutter. These abnormal rhythms are called arrhythmias. When your heart beats erratically, it does not pump blood as efficiently as it should. You may feel ill or experience other Afib symptoms because oxygen isn’t being properly delivered to all parts of your body. 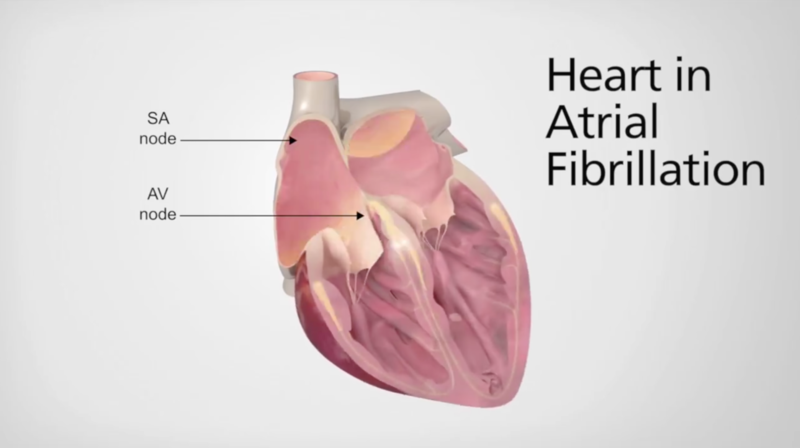 Watch this video to see the difference between a normally beating heart and a heart in AFib. 1Johan E.P. Waktare, MB, ChB, MRCP, Atrial Fibrillation, AHA Journals.org.